Join us to learn from world-renowned grazing expert Ian Mitchell-Innes. Ian Mitchell-Innes is a native of South Africa where he has spent decades managing his ranch and cattle. Through trial and error, he eventually settled on Holistic Management and Mob Grazing. He is here to help us recognize week links, take advantage of solar energy, and make our farms more profitable. 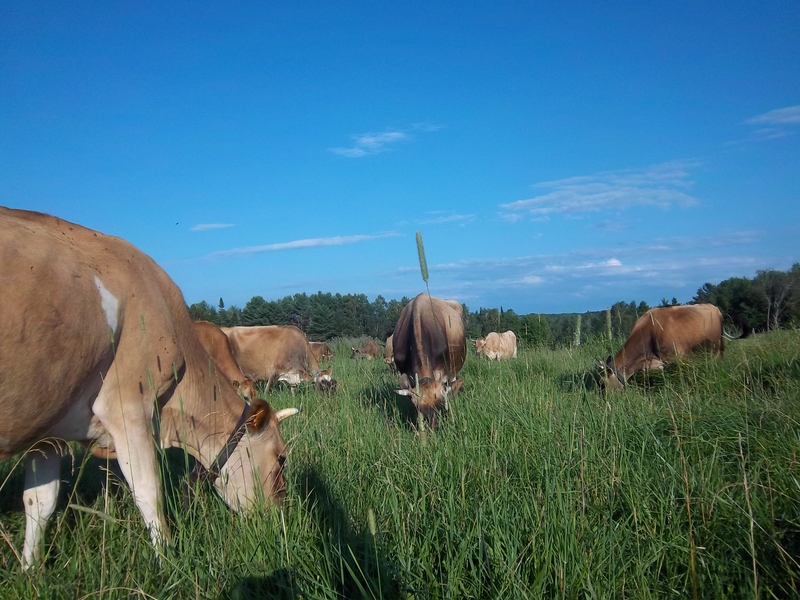 A diversified organic family farm producing milk, cream, eggs, pork, beef, veal, lamb, & grains. Ian has a power point presentation and asked that participants bring colored pens. We will spend some time in a classroom setting and some time out in the pastures. Bring your questions! Please mail a check to register. We are just like everyone else holding things together with bale twine, so this just covers paying Ian. If, you can afford more, consider sponsoring another farm! We will provide the main meat and salad. If there is anything else you would like to share, bring it along! This entry was posted in Classes on March 22, 2017 by katia.